Did you know that you can take a special behind the scenes tour of St Paul’s Cathedral, in which you visit its triforium area? After being whisked like a VIP through a locked door in the staircase that ascends the main dome, you will enter the triforium – an arched gallery that stands above the nave. This area includes a number of interesting sights not normally accessible to the public, including St Paul’s Library, the Geometric Staircase and Wren’s Great Model. But first the triforium leads down past some fascinating stone remains of the old St Paul’s – destroyed in the Great Fire of 1666. 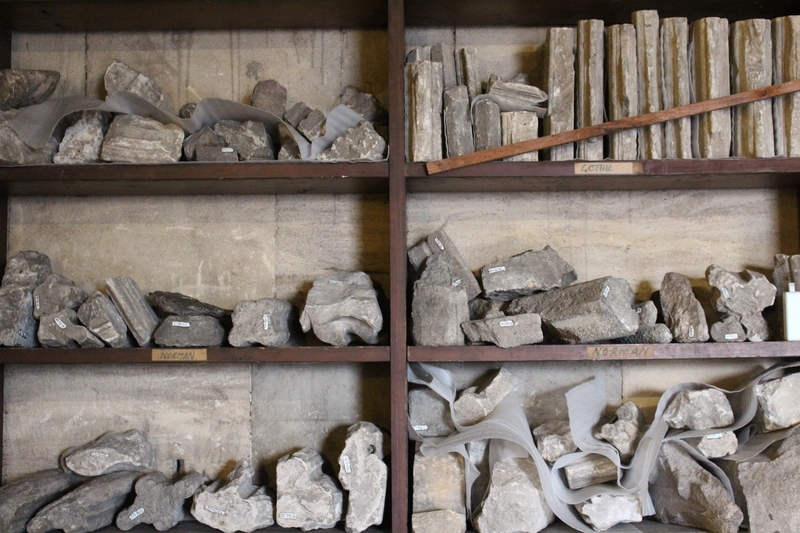 These were excavated in the nineteenth century; their shelves boast unique labels, declaring ‘Norman’, ‘Gothic’ and so on. 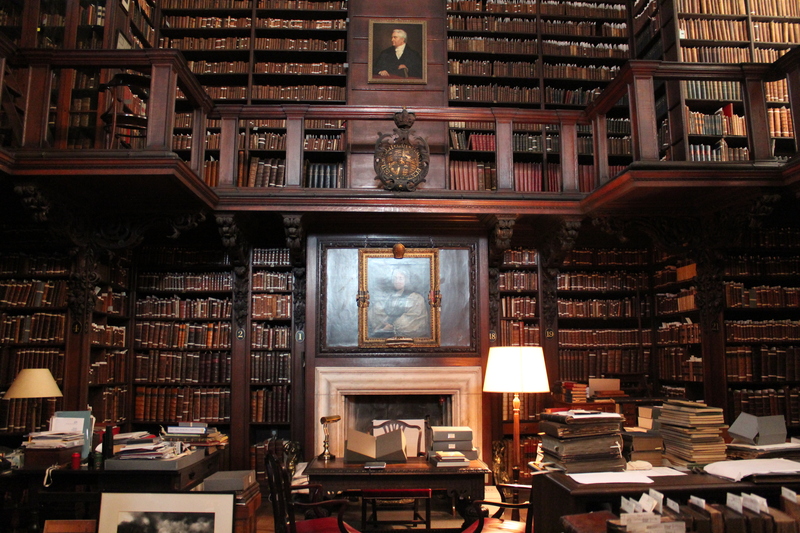 Next stop is St Paul’s Library, a wonderfully evocative old room, with its wooden bookcases full of beautiful old books. The library dates from 1709, although it was largely empty in its earliest days as most of the collection was lost in the Great Fire. 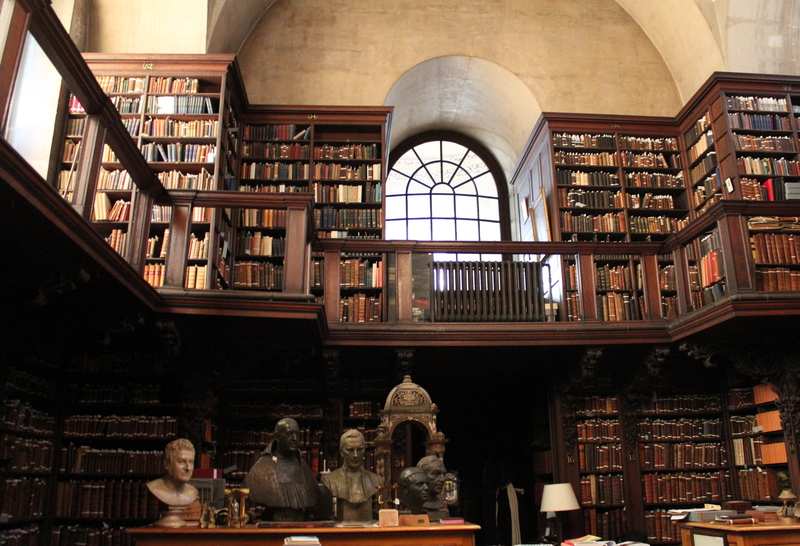 Its holdings focus on theology, church history, classics and medical books (used to help the priests treat illnesses). You can contact the librarian if you wish to arrange to conduct research in these topics in this wonderful environment. The tour then takes in the Geometric Staircase, which will be familiar to film fans having featured in Harry Potter and the Prisoner of Azkaban and the 2009 version of Sherlock Holmes. Next is the superb view down the nave from the west balcony – the very same as used by BBC camera operators on special occasions. The final stop is the Trophy Room, where you can see Wren’s Great Model of his favoured plan for the cathedral. 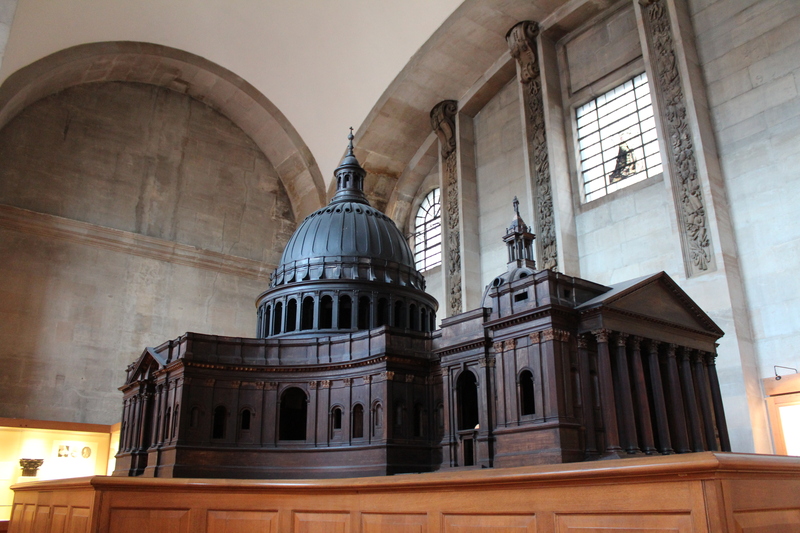 This massive model was made in 1673-4 from oak and plaster at a cost of around £600 – which would have bought you a good house in London at the time. If you take the Friday tour you might also catch a glimpse of the cathedral’s seamstresses toiling away in their room next door. 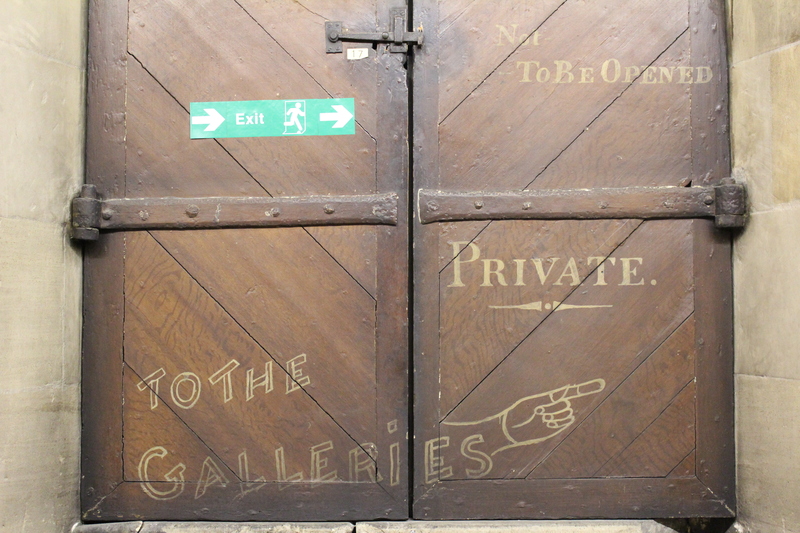 This entry was posted in Guided tours, History/heritage, Libraries and Archives and tagged Behind the scenes at St Paul's, behind the scenes tours, cathedrals in London, London cathedrals, London churches, London libraries, St Paul's, St Paul's cathedral, St Paul's church, St Paul's guided tour, St Paul's London, St Paul's triforium, St Paul's Triforium Tour by thelondonphile. Bookmark the permalink. Thanks for posting this. A definite must for my next London trip! Thanks Alan, and for reblogging this post. I see we share a love of libraries! Thanks for info! This looks like a terrific tour! What a beautiful library! This looks like a marvelous tour. Thanks to The Londonphile for bringing it to my attention!